Includes cards from the animated series and manga. Includes cards used by Alexis Rhodes, Jesse Anderson, Axel Brodie, Jack Atlas, Jinbei Tanigawa, Taro Yamashita, Yoshizo Hayashi, Yuma Tsukumo, Yuya Sakaki, Shun Kurosaki, Chojiro Tokumatsu, and Kite Tenjo. 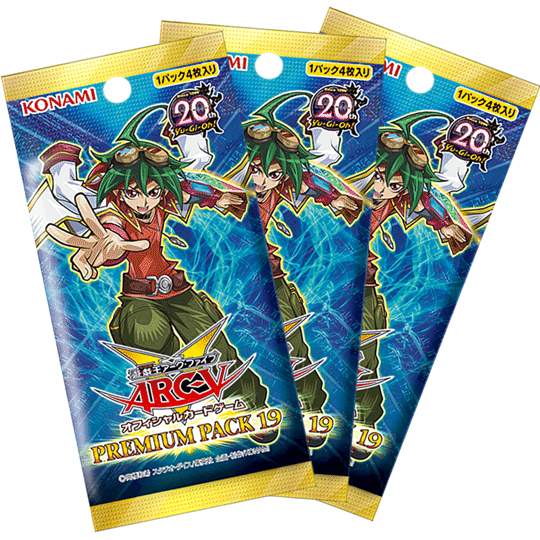 Includes members/support for the "Galaxy-Eyes", "Number", "Odd-Eyes", "Performapal" and "Raidraptor" archetypes and the "Legendary Planet" series. Introduces the "Cardian" and "Cyber Angel" archetypes to the OCG. Introduces the first support for the "Cipher" archetype. All Super Rare and Ultra Rare cards also come in Collectors Rare.